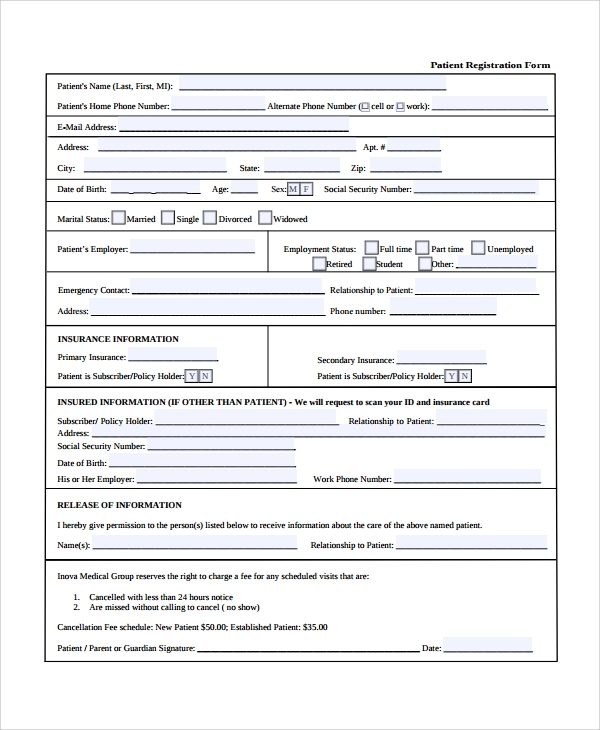 A new patient registration form has to be filled up when a person, who was not previously treated in that hospital. 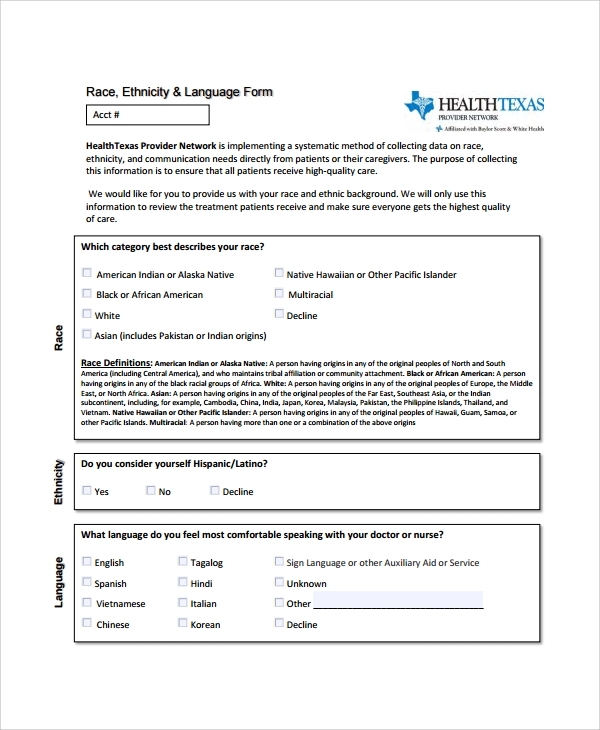 Patients have to provide exhaustive details about their condition, including the name of the doctor treating now, whether they are from abroad, or from the armed forces. 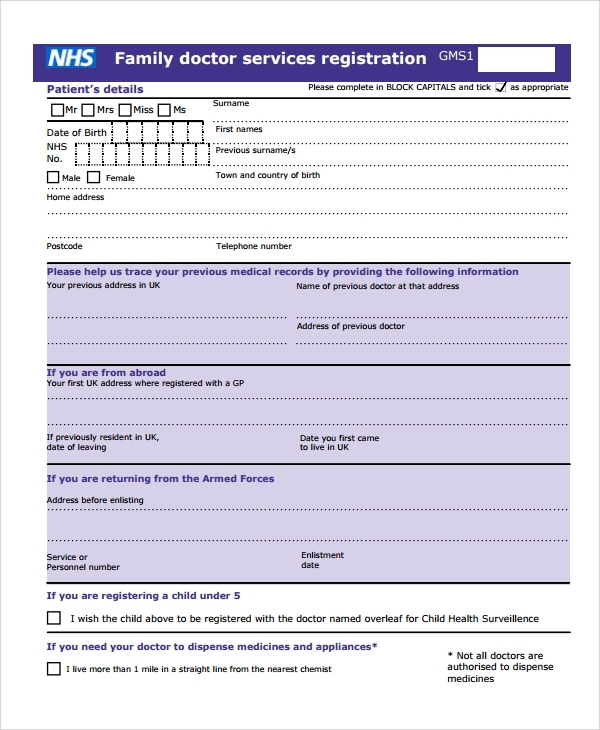 A special new patient registration form has to be filled if a child is admitted to a hospital. 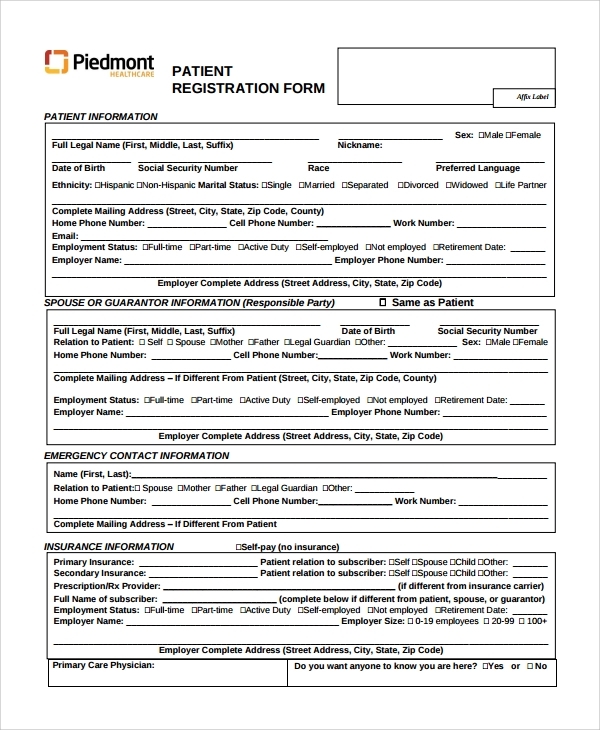 As the name implies, a dental patient registration form has to be filled up, especially before a dental surgery or a critical dental examination. 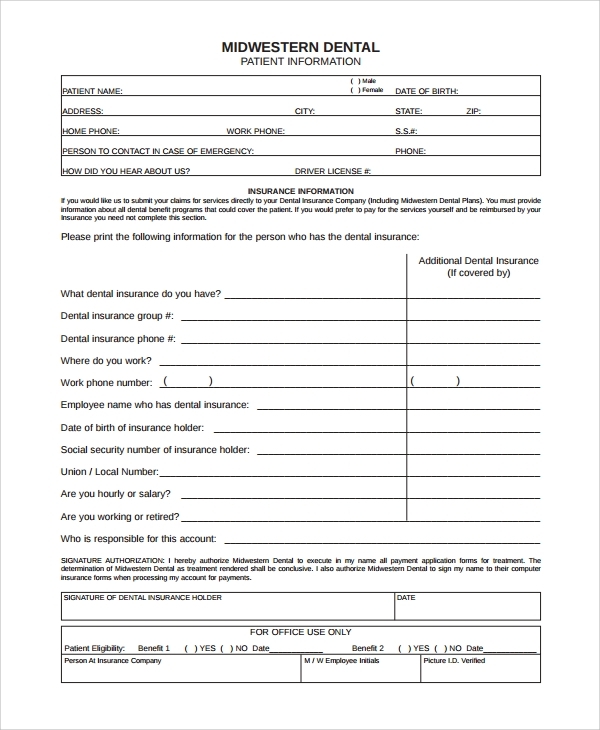 Information required to be filled up include dental insurance details, place of work, details about last checkup and dentist who attended. 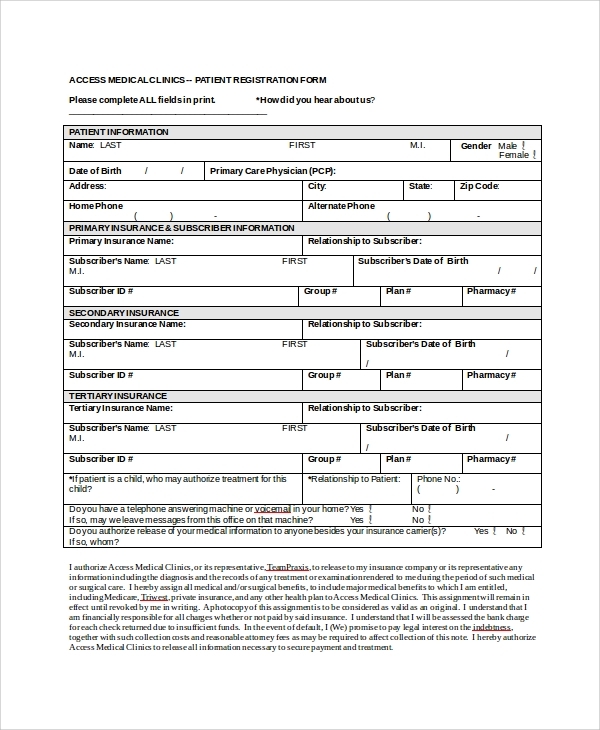 Information on whether the patient has any other medical condition like rheumatic fever, angina/chest pain, blood pressure, is also recorded. 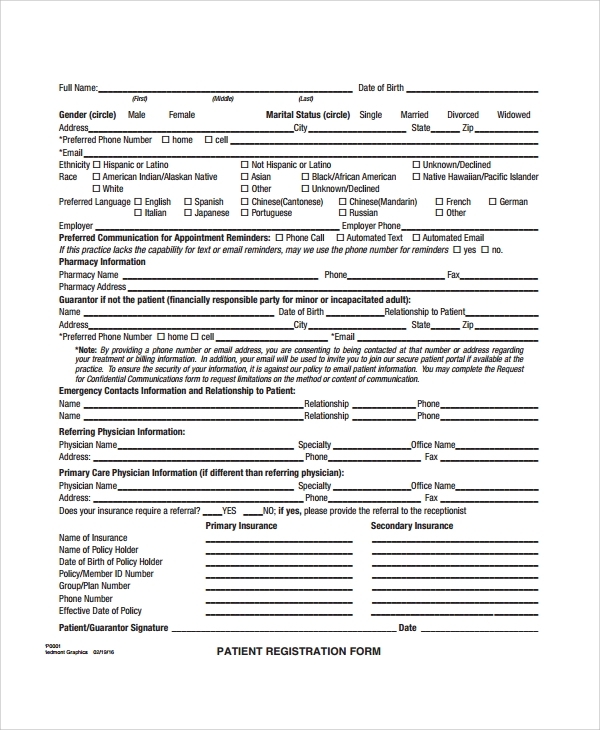 A patient access registration form contains the name, address, gender, age and similar other details of a patient. 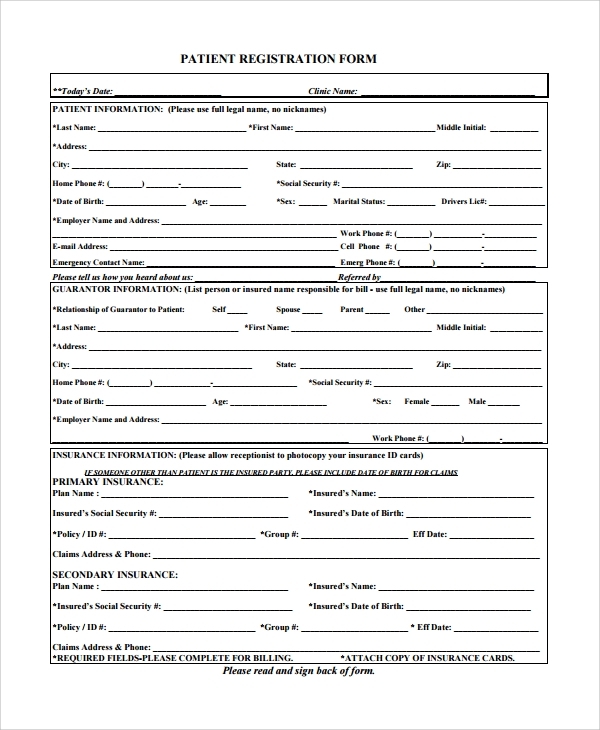 Emergency contact information, primary and secondary information, name of the primary care physician, medicines taken, prior medical history, allergies to which a patient may be prone to, name of the guarantor, or spouse, whether employed or retired, are all entered in this form. It’s very important that a hospital or healthcare provider keeps all patient information updated so that the best healthcare can be extended to the person. Their families can also be communicated in case of emergencies. 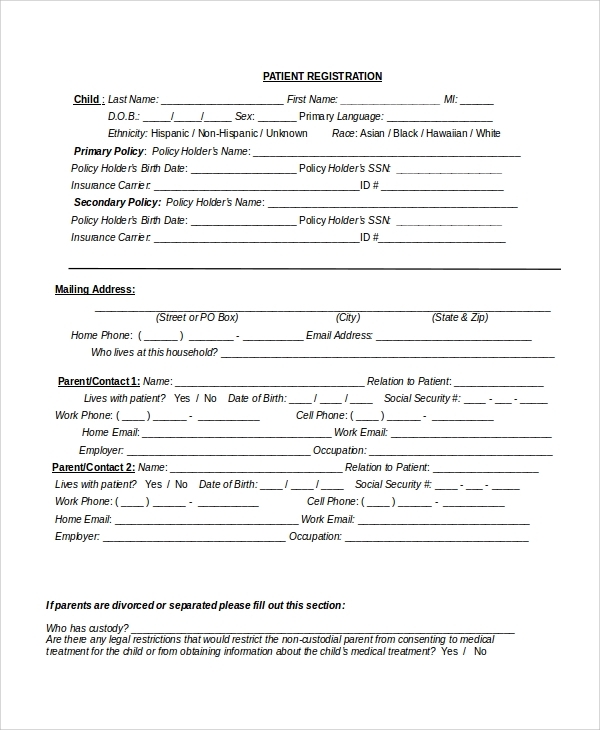 At every appointment check, the patient party may be asked to verify the insurance and contact information.